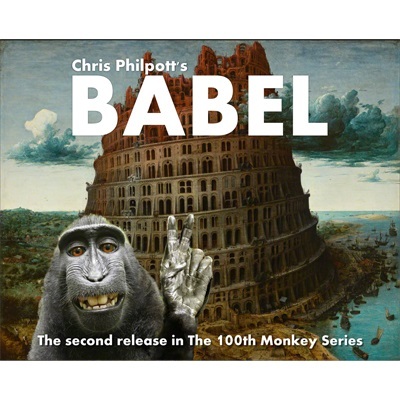 Babel: you give a spectator the ability to read a foreign language! One Monkey Ahead: a diabolical twist on a classic method! Person, Place and Thing. And Monkey: Astral projection and incredibly clean mind-reading! Your spectators can read words in one or several of these languages: Spanish, French, Greek, German, Italian, Russian, Danish, Filipino, Finnish and Swahili! The performer can ask someone to pull up Google translate on their phone to verify the results, use a translation dictionary, or ask people in the audience who speak that language. Xenoglossia (the ability to suddenly speak or read foreign languages) is an ancient miracle that even today is considered by the Catholic Church a proof of sainthood or demonic possession. A potentially game-changing take on the one-ahead principle that allows the performer to put their impressions in a clearly-labeled envelope, put it aside and never touch it again! There is a wide-array of variations including Mental Epic and 4th Dimensional Telepathy-style routines, two and three-word variations and envelope-less versions where the words are written on the back of labeled cards. Super clean and powerful mentalism! Person, Place and Thing. And Monkey. The performer shows a set of labeled pictures, each with different place on them (Germany, Suburbs, Forest, College...). The spectator secretly chooses one and is asked to imagine that they are in that location and some object is in front of them. The performer not only describes the place but actually names the object the spectator is merely thinking of! (No fishing, nothing written down and no pre-show). These are English-language effects - they are not designed to give non-English speakers the ability to read English. While you can print any of the 400-plus cards in this set at home or at a print shop, this set does not include the ability to customize your own cards.